Remotes (both the manufacturers and Harmony) send commands several times to ensure accurate delivery of the signal. There are some cases when Harmony may have this number set wrong. Lower a devices repeats if pressing a command causes you to jump up or down several times in a menu. The same applies for volume controls on a soundbar or AV receiver. 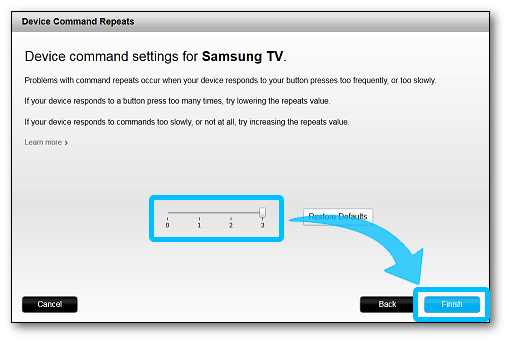 Increase this devices repeats if you find yourself pressing the same command multiple times before a device responds. In order to use the Harmony mobile app, you'll need to use a Harmony hub‑based product. 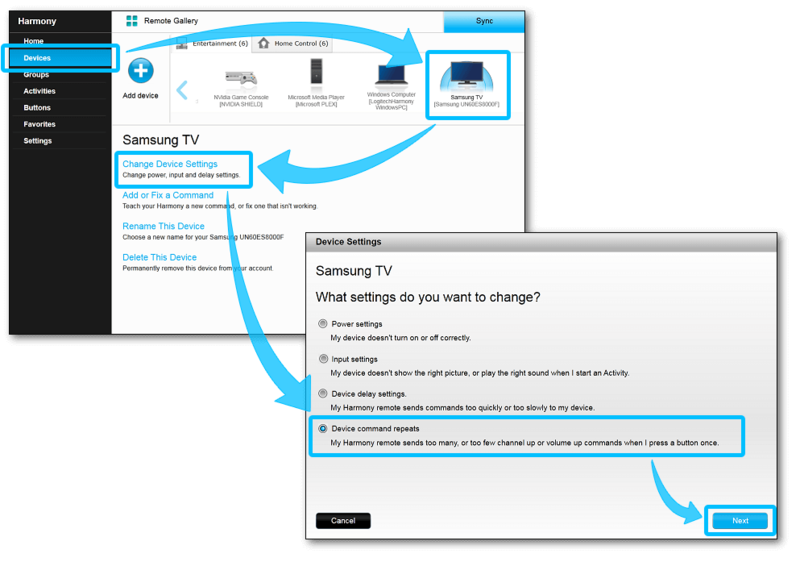 If you're not using a Harmony hub‑based product, please follow the desktop instructions to change your device's command repeat settings. Select the device you'd like to modify, followed by COMMAND REPEATS. Move the slider to select a new repeat value, then press > to continue. 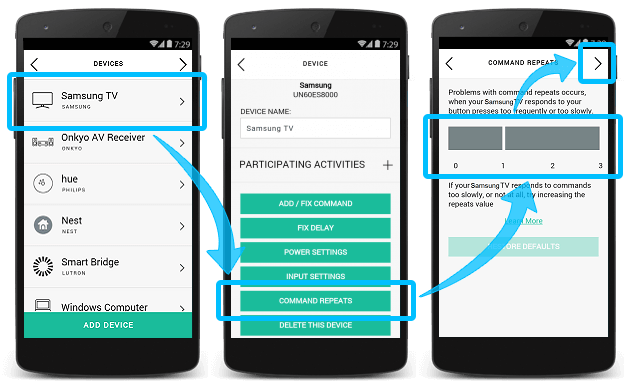 Select the Devices tab, along with the device you'd like to modify the power settings for. Select Change Device Settings, followed by Device command repeats, then Next. Adjust the slider as need and select Finish. Remember to sync your remote whenever making changes.